As we saw today with the Alfa Romeo Arna, it was not uncommon for Italian manufacturers to build other nations’ cars under license. Here is another example of the practice – the Innocenti-Morris IM3. Innocenti had already built two BMC cars under license, the A40 and the 950 Spider (based on the Spridget). It had the twin-carburetor 1100cc engine, altered front-end styling, a different dash cluster, and other more minor details. 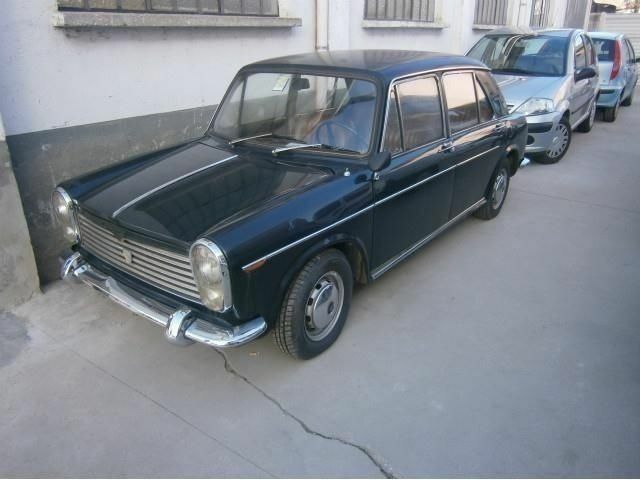 You can find this 1965 Innocenti-Morris IM3 for sale for €1500 ($2069) in Milan, Italy. If you’re at all familiar with the BMC ADO16 series of cars (which included the Austin America), you’ll notice the upmarket-looking stacked headlights, a style favored by marques like Mercedes and Facel Vega. It also has a different grill with a little dip in the top bar, and different hubcaps. Other than that, this is your garden-variety Morris 1100 as built in Italy. The color scheme seems more Italian too – dark blue over a rich tobacco brown. 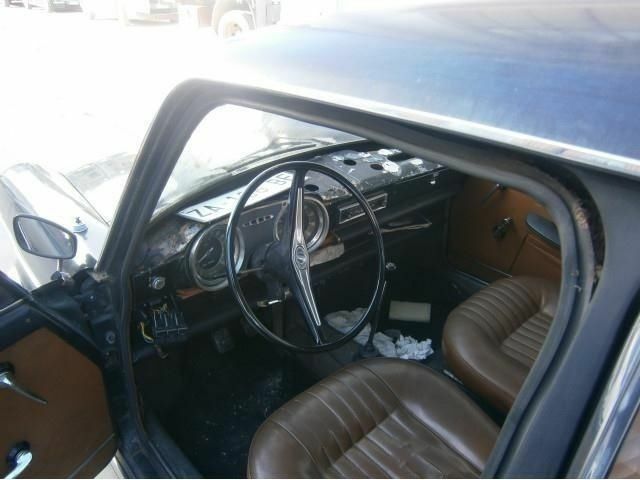 The car is said to only have 30,000km, which explains the excellent condition of the interior, including some of the plastic protective sheeting from delivery. As you can see, the dash cluster is also much more Italian, seemingly taking inspiration from various sports cars of the time. The car does appear to have some sort of electrical issue, as the dash top is missing and some switches on the left are hanging loosely. 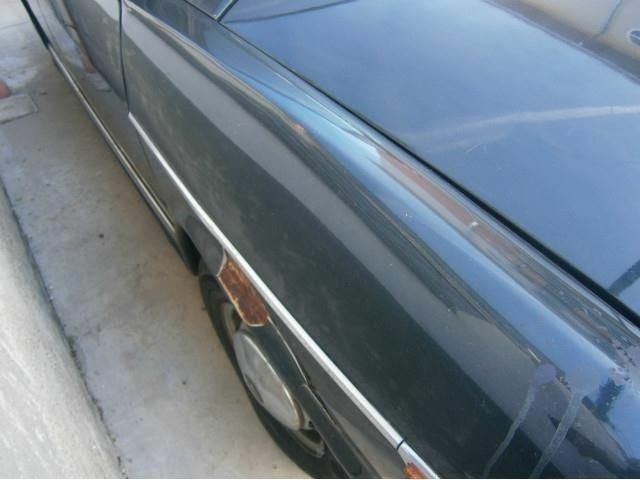 Unfortunately, the only description given is “antique automobile”, so that doesn’t really help us understand what laid this car low and left it with such low mileage. 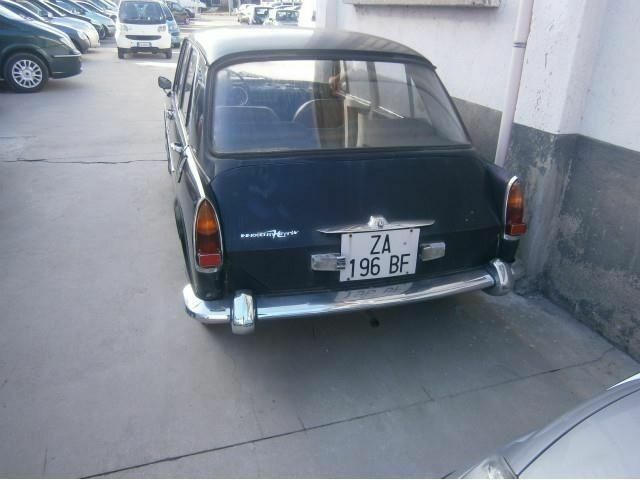 The rear end appears much the same, but for the reverse lights mounted on the trunk lid and a Innocenti-Morris badge. Judging by this picture and the one below, this car has spent some time in the elements, either in a leaky building or outside. From an American perspective, an ADO16 is quite a rare car as it is, but as with a lot of these crossbreeds, you could have a lot of fun watching and eavesdropping while exhibiting this car at a local show. And to top it all off, you still get the typical big-Mini driving experience – compliant yet snug suspension and excellent cornering, along with a lively engine. What more did the Italians want? This entry was posted on March 21, 2014 at 6:21 pm and is filed under Feature. You can follow any responses to this entry through the RSS 2.0 feed. You can leave a response, or trackback from your own site.